Who can budget the local crew for this show accurately? You can. With COMPLETE CREWING. COMPLETE CREWING simplifies union contracts. You need the right plan. The right people. When you’re putting on a meeting, event or broadcast in Chicago, make one call to Complete Crewing. We’ll take it from there. Complete Crewing is your single crewing source for Chicago union and freelance stage personnel for any size event. We take the guesswork out of budgeting and hiring the right crew, ensuring you avoid production headaches and successfully manage legal and financial risk. Our team has an extensive background in technical direction, event production, AV crewing, and staging company management. With decades of experience, our team has been staffing corporate meetings, TV broadcasts, and special events for over twenty years. 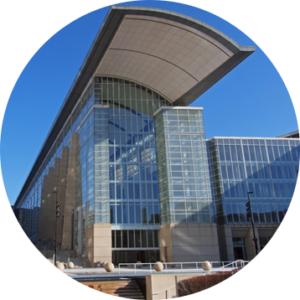 Nobody knows McCormick Place West better. Budgeting and hiring the right labor for your event. No-cost consultation and detailed labor budgeting for proposals and pre-show. Develop detailed, specific, and accurate crew budgets and schedules. Provide complete staffing solutions free of union jurisdictional conflicts. Chicago’s largest source for production staffing since 1991, with experience in technical direction, event production, and staging company management. 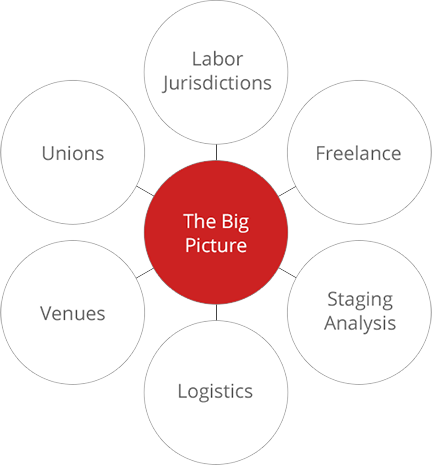 Experts on Chicago labor contracts, focused solely on representing producers and AV stagers while maintaining positive relationships with unions and crew members. Your single source for union and freelance stage personnel for any size event.